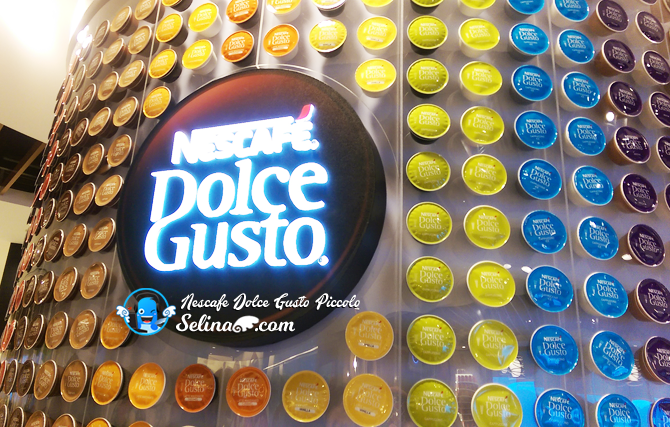 First, I tell you all about what is Nescafe Dolce Gusto Piccolo? The Piccolo is the smallest in the Dolce Gusto of the coffee machines. It is very modern art of Coffee Art, can be suitable to use at home or office! It also have 15-bar pressure - it's one way only, to make the brewing process lets you brew a cup right when you love to feel a great tasting coffee while you are using the Piccolo. It also provide the cold and hot water very quickly with the 15-bar pressurized pump to speed up the brewing. With the Nescafe Dolce Gusto Piccolo coffee machine, you get a fresh cup of coffee in short minute only, mean you can enjoy anytime, everyday. 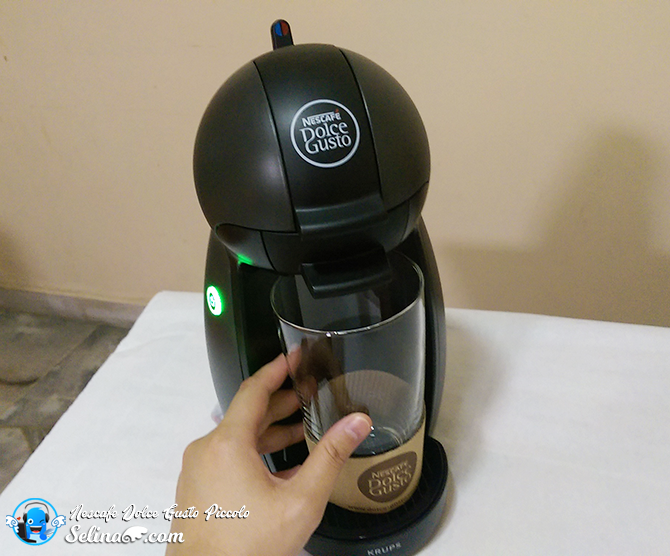 Nescafe Dolce Gusto Piccolo looks great and slim, but it also can create a very warm coffee with thermoblock and 15-bar pressure to make a high quality of coffee so well. It is no mess and no difficult to use - simply control the brew lever so manually, and you can see the cold (blue) and hot (red) at the brew lever, which you just move right or left, then you stop at middle only, if you want to stop brew, right! You love a very beautiful design of collectible tin? 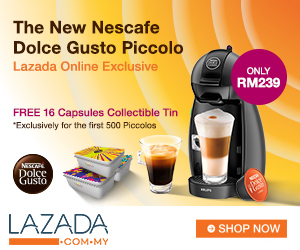 If you want a special limited edition, then you make pre-order on this Nescafe Dolce Gusto Piccolo Coffee Machine from Lazada Malaysia, you will get a FREE 16 Capsules Limited Edition Collectible Tin, valid for the first 500 purchases only! 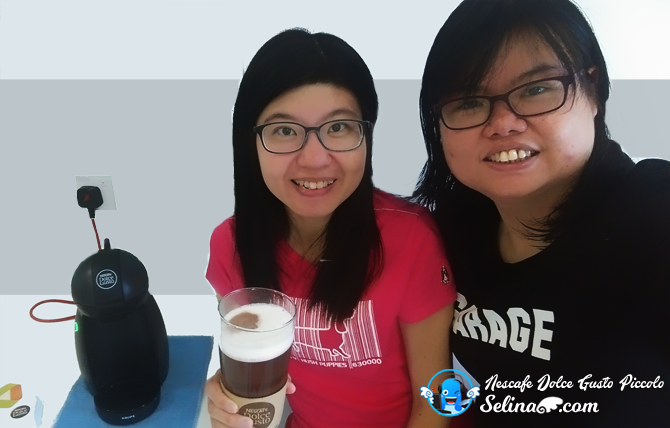 This kind of small coffee machine can have different flavour like Chocolate, Tea, Iced Cappuccino, Milky, or Black coffee....Mean you free to drink coffee, or tea or chocolate as well. There are around 16 cafe style varieties with hot or cold drink, which you can choose from, you'll wonder how you ever coped without it. 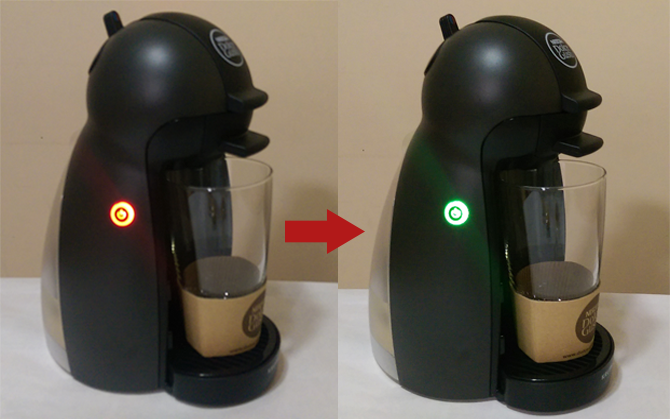 With the NESCAFE Dolce Gusto Piccolo, just use 3 simple steps. Just push a button and move the brew level, it works manually. Easy and Simple. 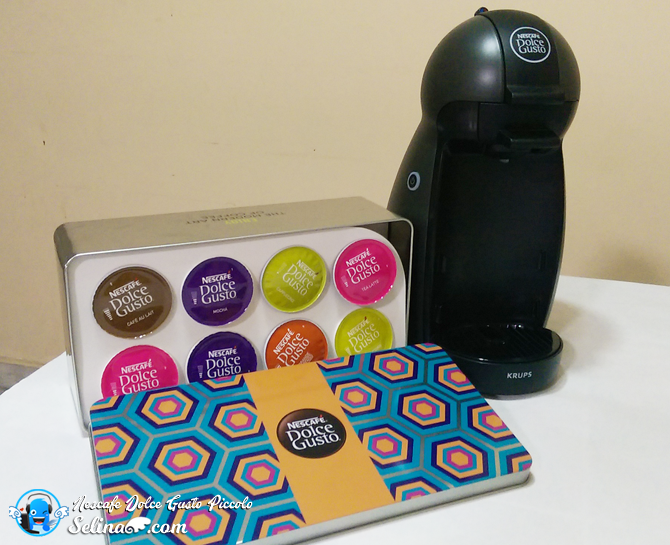 The NESCAFE Dolce Gusto Piccolo comes with a free starter pack of 6 different pods, so that you can try our drinks as soon as you get your machine home, when you get NESCAFE Dolce Gusto Piccolo's package box. It’s extremely easy to use. You put it in a pot, push a few buttons, and you have your coffee ready. 1. You choose which is your favourite of drink first. Tea? Coffee? Chocolate? Be Ready to be Barista! 2. You add water in the water tray. Then, you install the water tray inside this machine. 3. You push the Power button, and within 2 minutes. You will have the heater ready. 6. Push the Cold (Blue) or Hot (Red) lever. Lastly, you’ll have your coffee ready! 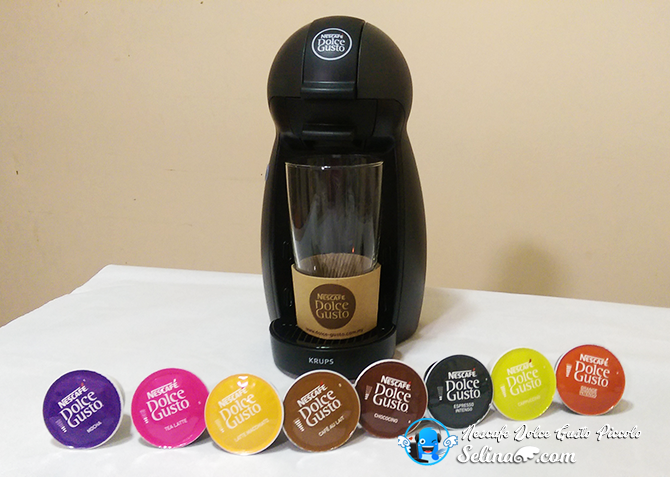 This Nescafe Dolce Gusto Piccolo have the Manual version, you have to push a lever to either the Hot or Cold side, and the amount of beverage that will come out as it depends on how long you push the lever, so you have full control of the coffee making process and its taste. It make you be good barista! Depend to Your Preferance of Flavour, you can make Ice Tea, Chai Tea Latte, Chococino, Mocha, many different types of Espresso, like Decaf, Barista, Ristretto, Intenso. You can even have Skinny Lattes or Cappuccino, Macchiato, or simply some Americano or espresso without sweet, whether it is a cold drink or a hot drink, that’s up to you. You’ll definitely have the type you like! 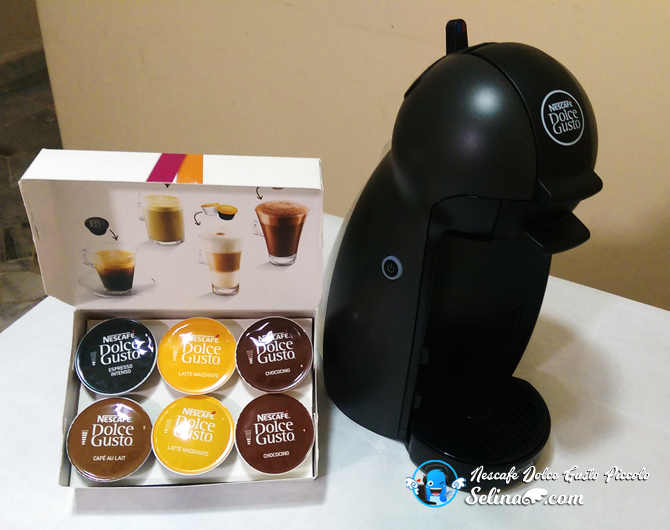 Why should I buy a Nescafe Dolce Gusto Piccolo coffee machine? 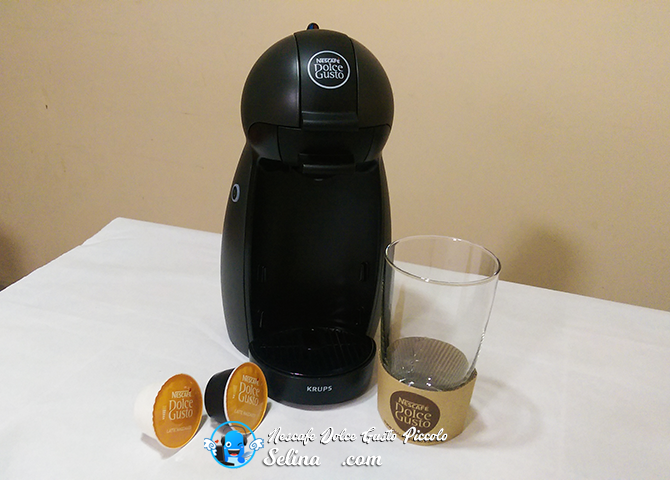 Firstly, they are a very affordable way to enjoy excellent tasting coffee and are far cheaper than heavy espresso machines and other brand of coffee machines. It is easy to carry to any place, such as kitchen, or living room or dining room. Be honest, it is small and compact, are designed to fit on any space; in home or kitchen or office without being messy or heavy. They look modern and cool, have fast water heaters and a very easy user interface. They also have the improved of huge water tank, 0.6 liter too. It also have energy save mode, mean it can be auto-off if you never use after 5 minutes only! Cool. The Pod holder magnet is strong to hold so great. Better is that it’s not limited to coffee, you can also get a wide range of teas and hot chocolates in pod form too! 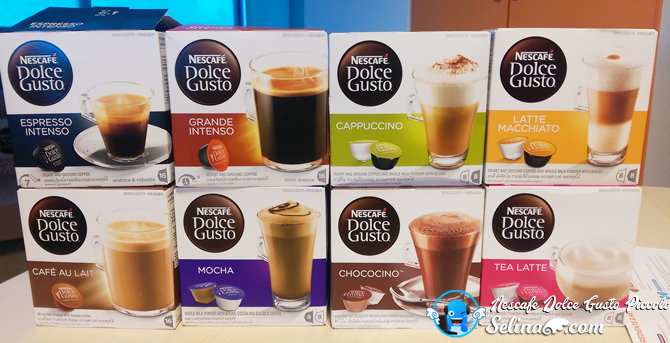 For example, simple espresso, latte and cappuccino, or chocolate caramel, caramel latte macchiato, vanilla latte, mocha, chai tea latte and more! You’re bound to find a coffee or hot chocolate that you love. Maybe you can do recipe of tea or coffee can be decorate as impressive with lemon, and chocolate, peach, herbal and more. It is good to make a very beautiful coffee/ tea drink to welcome the visitors too. Great. 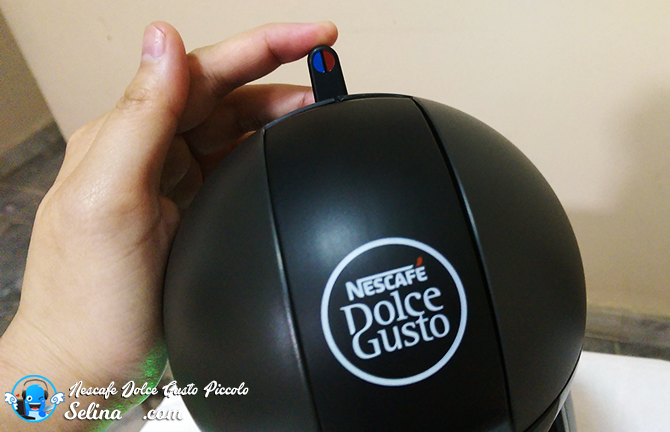 It’s highly recommended to wake up your eyes when you make your favorite of flavor with Nescafe Dolce Gusto Piccolo! 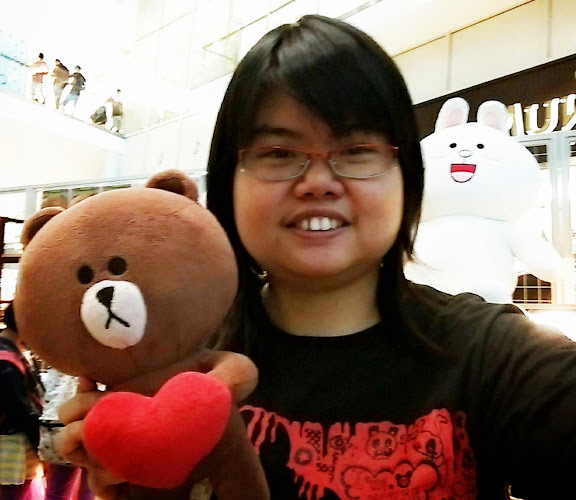 After all, the benefits you are getting are much more than the disadvantages. 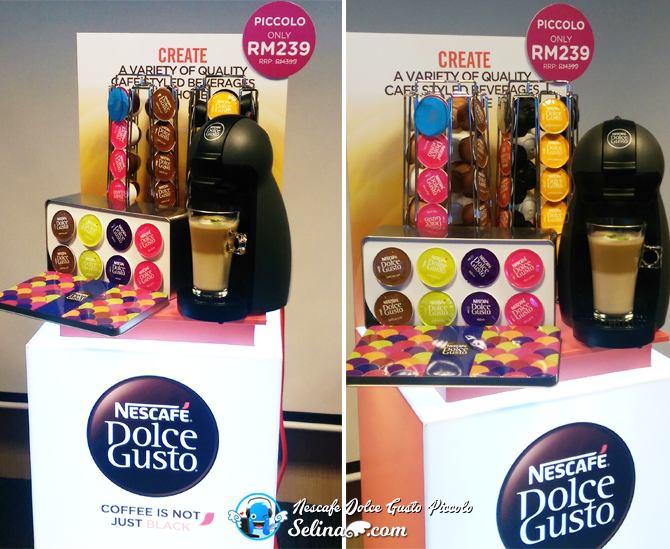 Are Nescafe Dolce Gusto coffee capsules in the bundle box are available in Malaysia? 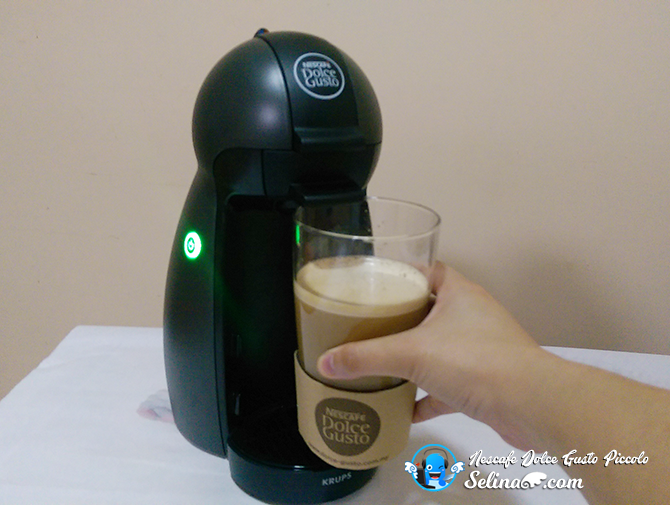 WHERE to BUY Nescafe Dolce Gusto Piccolo Coffee Machine? 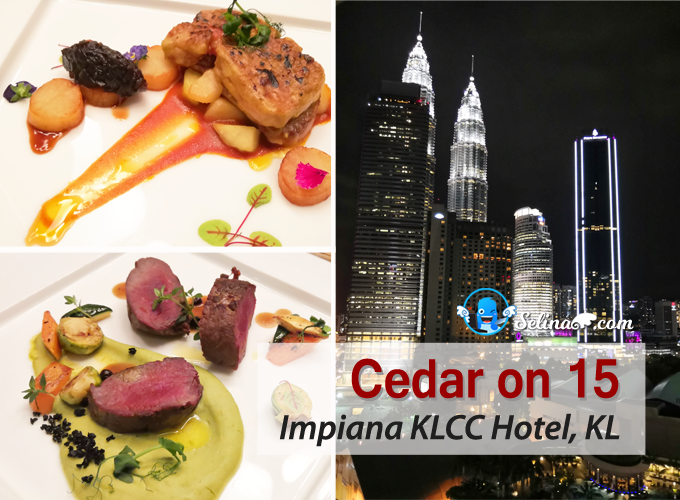 This is very affordable price can be offer for you for this limited time only! 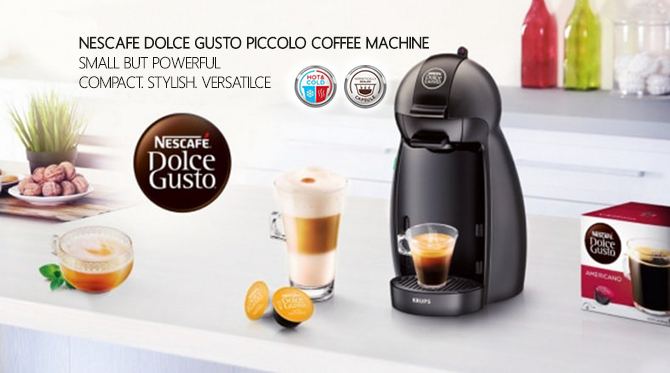 Nescafe Dolce Gusto Piccolo is very great desirable gadget fit for your home or office in your lifestyle! 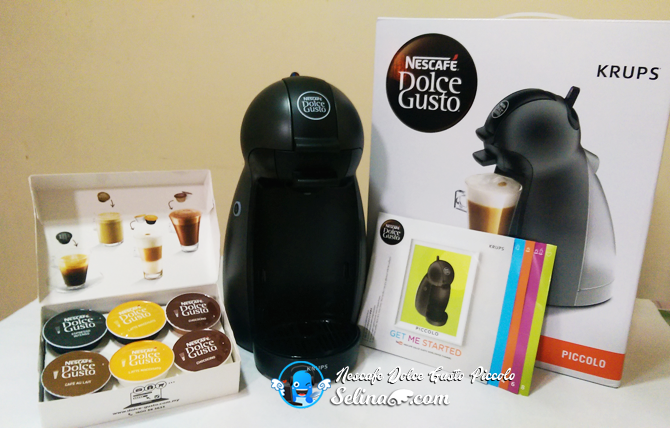 Lazada Malaysia sponsored me to offer a voucher code for you all can use to get the discount when you like to buy new Nescafe Dolce Gusto Piccolo or Nescafe Dolce Gusto's products. Remember this voucher are valid for both only! 10% off. Maximum cap RM20. 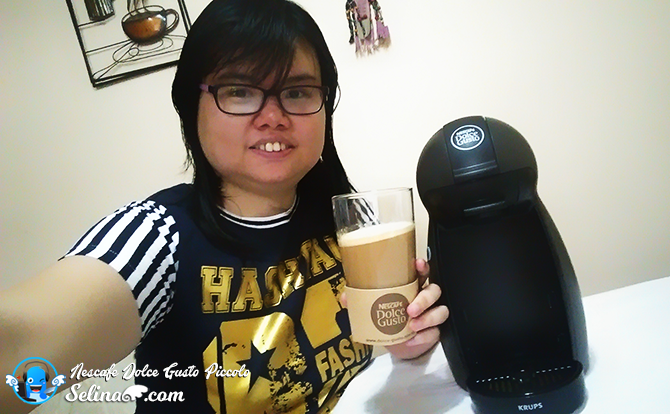 My friend, Woan Koon who enjoyed to drink Chococino after she tried to use my Nescafe Dolce Gusto Piccolo Coffee Machine. 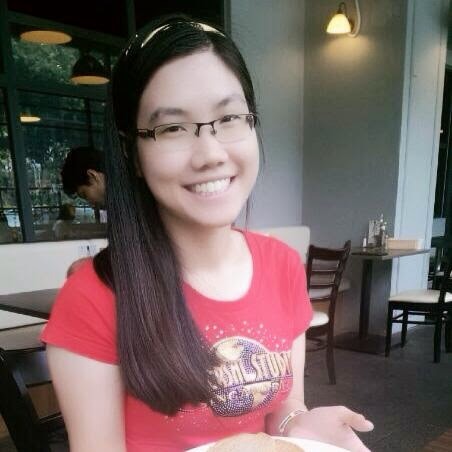 She said, "It is easy to use. 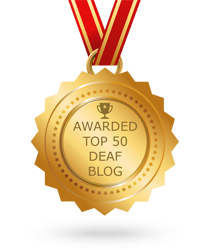 Deaf friends no need to worry about how to make coffee with this machine because we just check how much water needed with push the level of hot or cold only!" I am not a coffee drinker myself but my mom is an addict. Will get her this so that she can brew her coffee the way she likes it without the hassle. The coffee machine looks good in producing a nice cup of coffee. It is convenient too.